Database fields are saved to the profile card. These fields are for information that won't readily change, such as birthdate, address, social media usernames, and emergency contacts. Database fields update in the profile card automatically as new form submissions are accepted. If someone in your community fills out a form with a new address, the address will update in their profile card. Because database fields are more easily searchable and update without manual data entry, always look to see if there is a database field that will suit your question, instead of creating a custom Standard field. Keep in mind that you can always edit the title of database fields in the form editor. Just click on the text and type. Search for additional Database Fields, and create new fields, by clicking on 'Add More Card Fields' (located underneath the Database fields in the form builder sidebar). Each field you select or customize is added to your sidebar list - you can then drag it into your form builder and edit as needed. Need a database field that we don't have? Let us know! Everyone in your community must explicitly give you permission to use their email and phone number, in accordance with anti-SPAM legislation. You can customize the text that accompanies the opt-in boxes by clicking on the field and typing over the text, but it's your responsibility to ensure your changes are in alignment with current legislation. You have the option of asking for a full mailing address, or just city, state, and country. 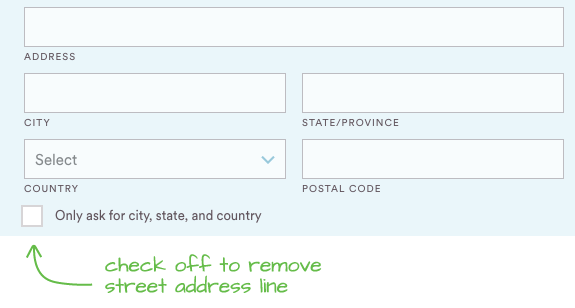 To choose the shortened address, click on the field and check the box labelled 'Only ask for cit, state, and country'. 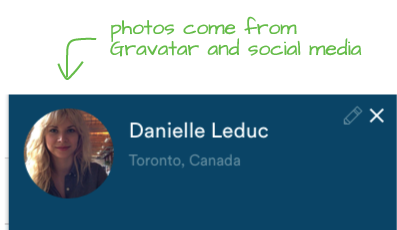 Timecounts can pull profile photos from Twitter and Facebook as well as Gravatar (globally recognized avatars, linked to email). 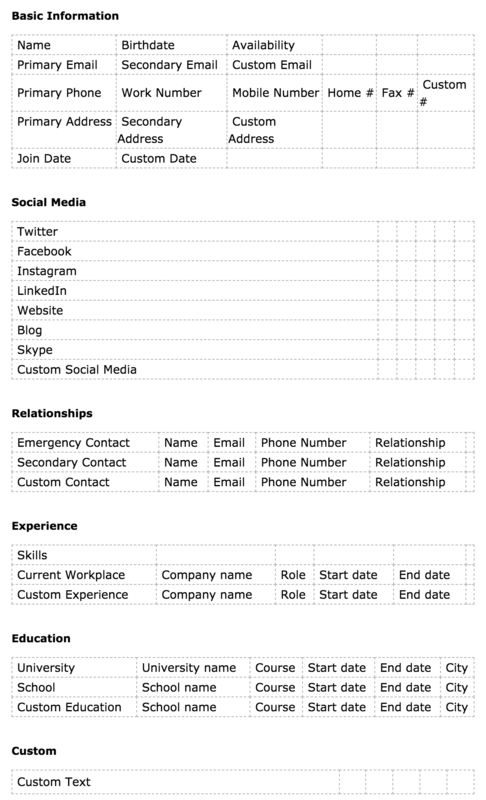 By including Facebook and Twitter fields in your forms, you will have a greater change of importing volunteer photos. The Skills field is a special Database field - when volunteers check off the skills they have in your form, their skills appear at the top of their profile card. Skills is an advanced form feature, available only to those on the Premium plan.